Can we use that software in oversea? Could you provide more detail how we install in our phone? i like white template style. it's better when i read your blog for a long time. ဘယ္မွာ ဝယ္ရမွာလဲ.. 5500 ကိုဘယ္မွာ သြင္းရမွာလဲ.. ျပည့္ျပည့္စံုစံုေလးေျပာပါအံုး.. ဘယ္အဖြဲ႕ကလုပ္ထားတာလဲ... ေလးစားတယ္.. ေတာ္လည္း ေတာ္ၾကတယ္.. ဂုဏ္ယူပါတယ္.. Thank you so very much for sharing us your knowledge and skill free. 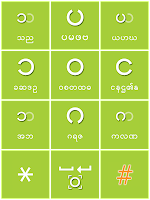 I am a beginner of Burmese language. 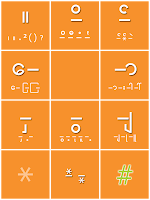 Your blog is one of the most important resources for me to learn about Zawgyi font and its system. ေက်းဇူးတင္ပါတယ္ ကိုေမာင္လွ.. ကၽြန္ေတာ္က အခုမွ blog စေရးတာပါ.. ကိုေမာင္လွ blog တကယ္အေထာက္အကူ ျဖစ္ပါတယ္..